December 20, 2017 By Allyson 8 Comments This post may contain affiliate links. Read my disclosure policy. 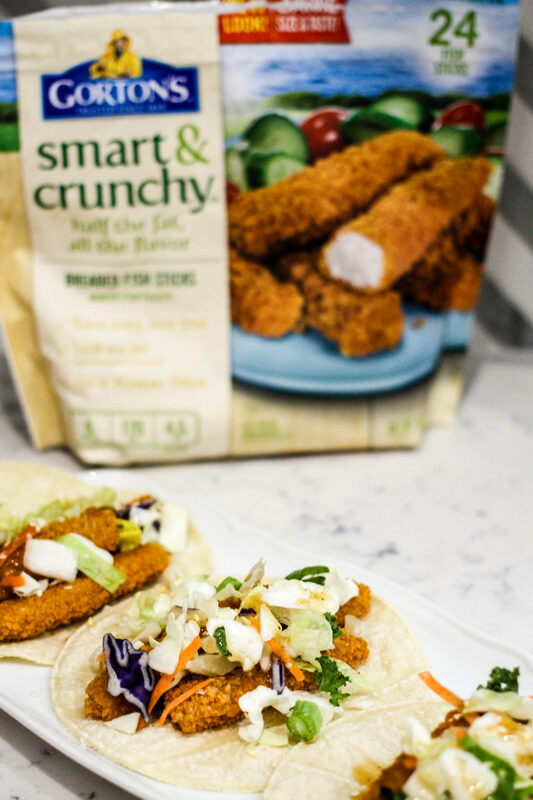 Crispy fish, asian vegetables, and a delicious sweet and tangy ginger sesame sauce pair perfectly for these Ginger Sesame Fish Tacos. 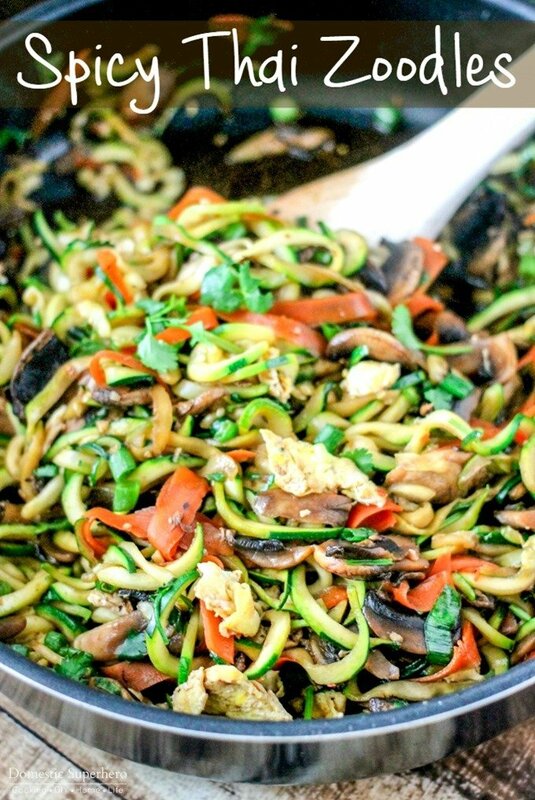 With the New Year right around the corner, I am often trying to come up with healthier recipes I can feel good abut eating, but that also don’t take forever to make! These Ginger Sesame Fish Tacos fit the bill. 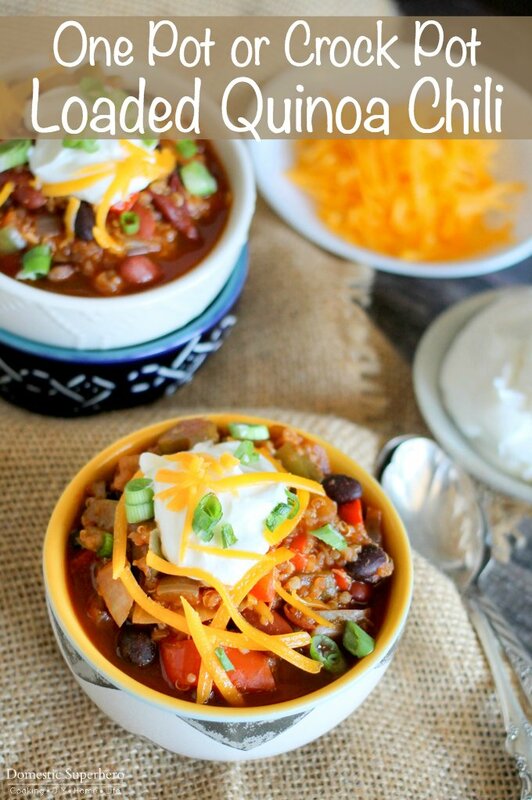 They are super delicious and take less than 30 minutes to whip up. Today’s post is sponsored by Gorton’s, but as always, all opinions are my own. 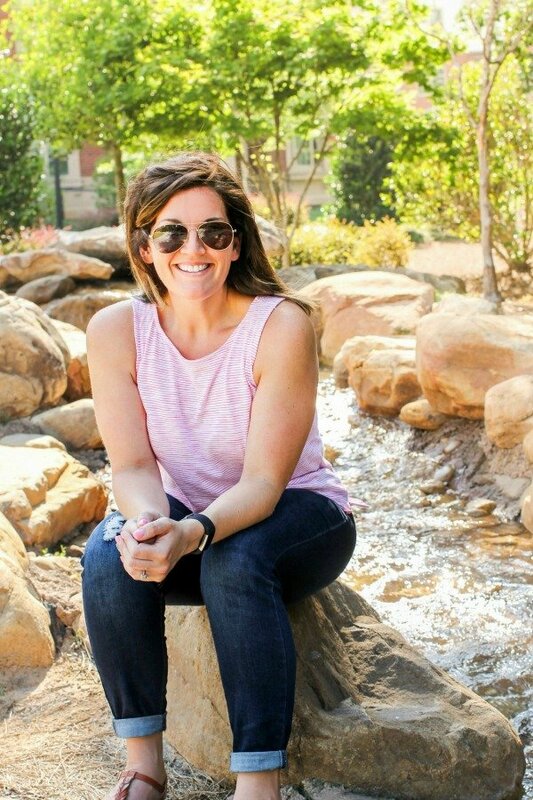 Being a full time business owner, mom, wife, and everything in between, I don’t have a lot of time to prepare meals. I don’t want to resort to unhealthy options, which is why I turn to Gorton’s Smart Solutions when I am in a bind. They are a healthier line if products that are even aligned with weight watchers points, so it makes keeping tabs on your meals easy. 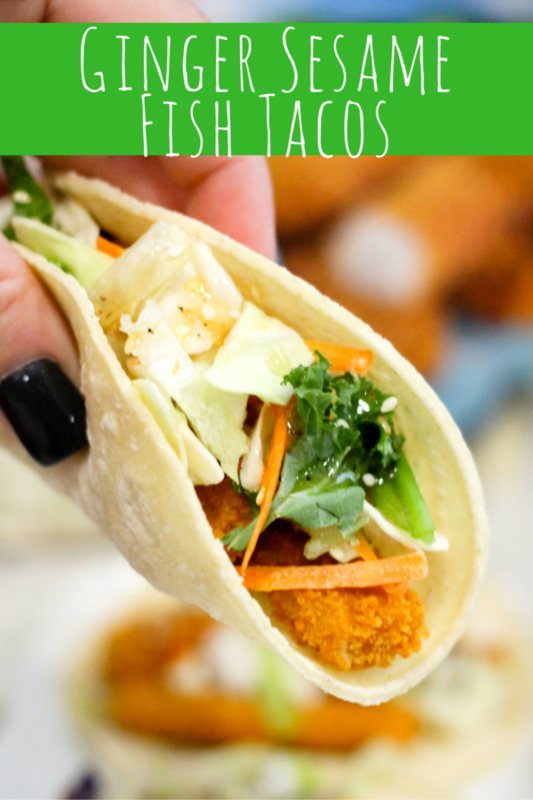 These Ginger Sesame Fish Tacos have a handful of ingredients and your family will LOVE them! First up, you need to cook the Gorton’s Smart & Crunchy Breaded Fish Sticks. I love Gorton’s because their seafood is fresh-caught, perfectly seasoned, and they have been around forever – 167 years in fact! While the fish sticks are cooking you can prepare a simple ginger sesame dressing (scroll down for full recipe). Once the fish sticks are cooked, you can assemble the tacos. 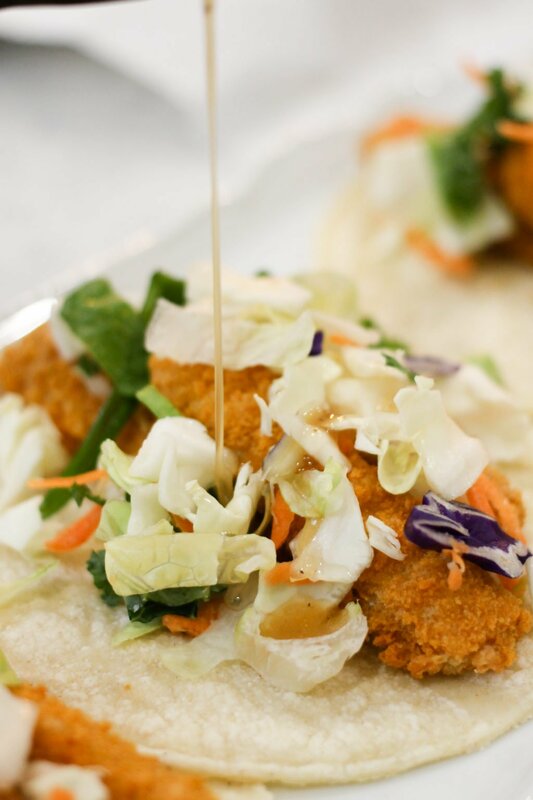 Lay out your corn tortillas, then top with the fish sticks, slaw, and ginger sesame dressing. That’s it – dinner is served! I love serving these with a side of guacamole, or a fresh corn salad. Whisk all sauce ingredients together in a small bowl, set aside. Taking your stack of corn tortillas, wrap them in a damp paper towel. Microwave on high for 25 seconds. Remove carefully. Set tortillas out on plates*. Add 2-3 fish sticks to each tortilla. Top with asian slaw and dressing drizzled over the top. Repeat for all tacos. Serve and enjoy immediately. *Alternatively, you could setup the ingredients as a taco bar and let your family put their own tacos together! I need to try these asap! They look so good! 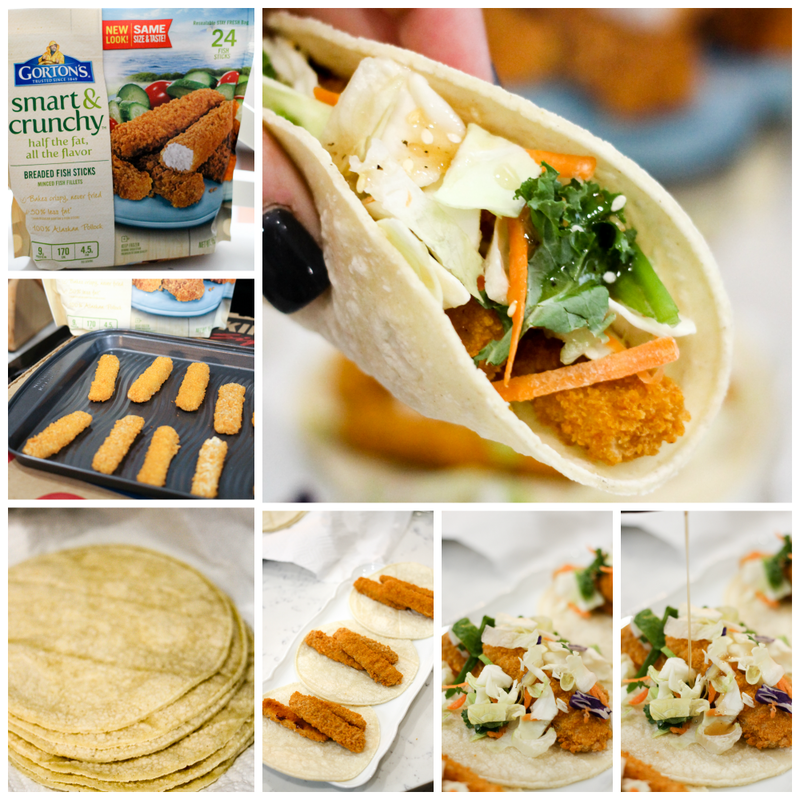 I use Gorton’s fish sticks as a short cut for fish tacos as well. 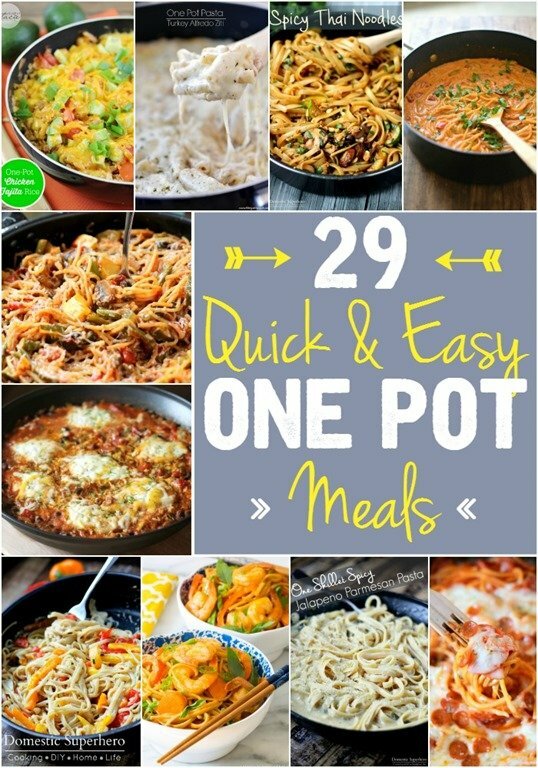 Love how easy it makes dinner! The flavor of these tacos are amazing! 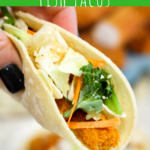 I love non-traditional tacos and these fish tacos are totally happening at my house soon!! I love having a healthy option while not having to take a whole lot of time to make. This is perfect!! What a great way to change up tacos! They look great! My kids love fish sticks, so these would be a big hit at my house! I’ve got to try these out soon!